Aharon contributed this PDF from the service manual containing pcb layouts, block diagram and construction notes. OK, Aharon: you want to figure out the offboard-wiring ? Could you smell the vintage electronic ? Thanks for those shots analogguru!!!!!! modman wrote: Aharon contributed this PDF from the service manual containing pcb layouts, block diagram and construction notes. Just read this thread one more time to stop wondering. Can someone tell me why this unit sounds so good on bass? I've tried (too much) phasers on bass but this was the only one that stood up my abuse / thoughts on how one should sound on bass. Difference between 1-2 and 3-4 are the JET EQ; one has mids, one lacks it. You can make these changes more easily switchable with individual switches. Bernardduur wrote: Can someone tell me why this unit sounds so good on bass? I've tried (too much) phasers on bass but this was the only one that stood up my abuse / thoughts on how one should sound on bass. I get a 4040 error when trying to see the gut shots..can some one pm them to me or email me the gut shots? Or are they uploaded elsewhere? Ill take it. Im itchin to clone this thing. Larry Graham uses this to great effect. chicago_mike wrote: Ill take it. Im itchin to clone this thing. Larry Graham uses this to great effect. Are you really that greedy, man ? Ok, here you go for the track side..... and as a "bonus track" you will get the component side too, taken by ebay user "coastal.a.a". This is all i have. NO layout. Let me know if you manage to work this out. Again, this is downloaded from somewhere which i couldn't recall now. If anyone know where is the origin, give him a credit. What size do I need to alter this too, so it doesn't print out a full page sized pcb? I hope to get this etched today. Okay i printed this out but it came out all fuzzy..I forgot its at 72dpi resolution...TERRIBLE. So I resized the image to 5.5inches..letf the constrain portions on, 5.5 inches mind you. ANd set resolution to 1200 dpi. now I think it should print nice and clear. Still at 1200 dpi though normal 8.5x11 is 300 dpi. 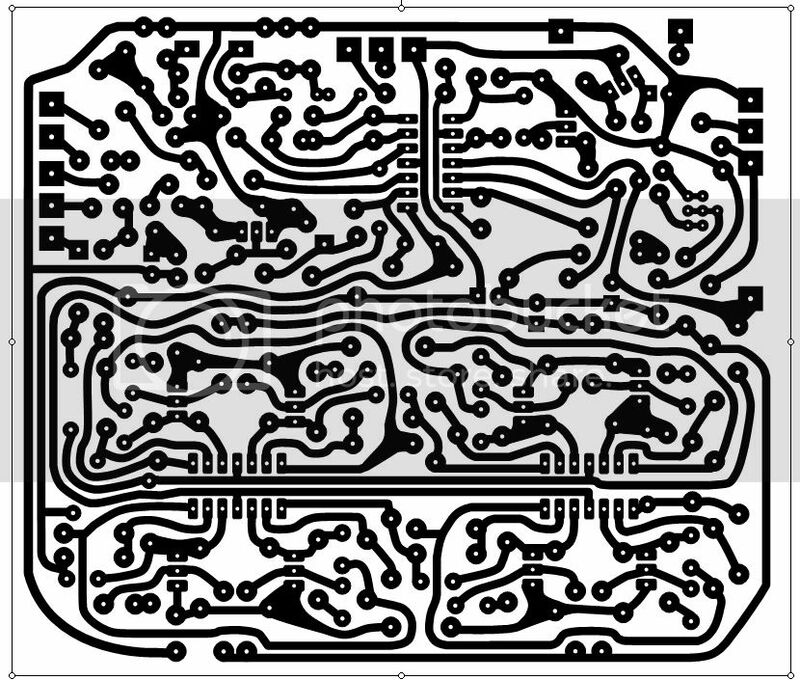 So just a little more adjusting and we have ourselves a rpintable pcb of the jetphase. Now there IS a second board but I think thats for the speed control, and just a few components I can do on a breadboard, or vero or whatever. Hi...chicago_mike....i was a noob at the resolution thingy. Appreciated if you have some guide or any link to share to get thru that, especially how to play with PHOTOSHOP for RESOLUTION and SIZE.